There are not one, but two Macy’s Veterans Day Sale savings passes I’ve found for you to take advantage of starting today! 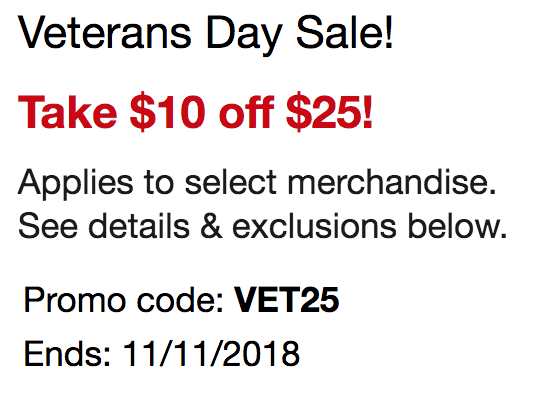 It’s easy to find great savings at Macy’s, but in honor of Veteran’s Day, there are two special savings codes to take advantage of, complete with two unique Macy’s Veterans Day Sale savings passes! 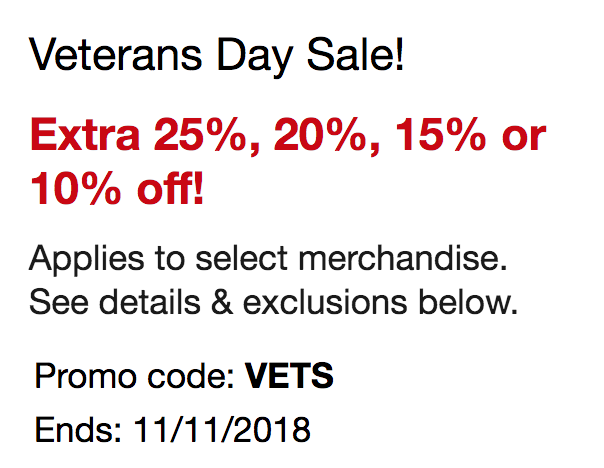 With this Macy’s Veterans Day Sale Savings Pass, use code VETS to save up to an extra 20% off (extra 10% or 15% off select departments). With the Macy’s Veterans Day Sale Savings Pass above, use code VET25 to save $10 off your purchase of $25 or more. 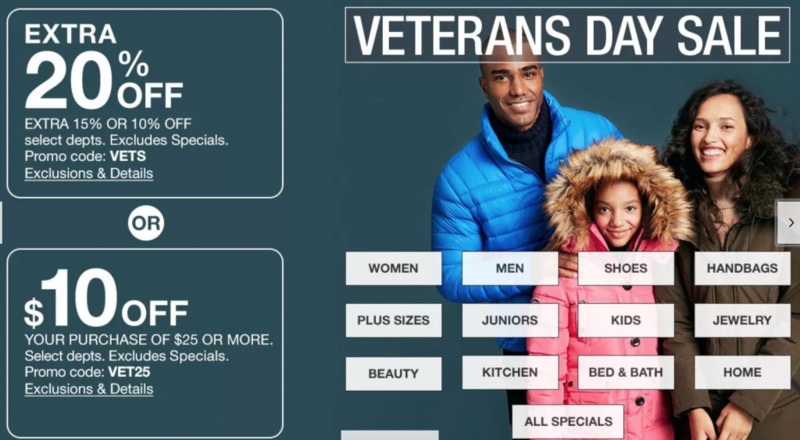 Both Macy’s Veterans Day Sale codes are valid through 11/11/18, so you have all weekend to shop and save. With so many ways to save, the shopping combinations are endless! * Some exclusions apply on free shipping – get the full details here.